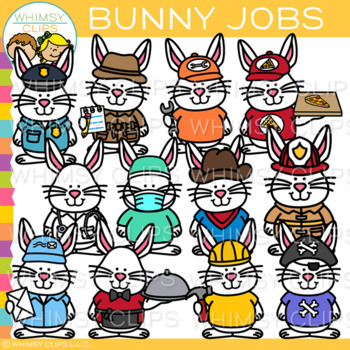 Create fun activities with this assorted set of bunny professions. You will receive 24 high quality image files, which includes 12 color images and 12 black & white images in 300dpi png. This set is not a part of any bundle.